From 1990-1992, Lambrecht, a photographer from Eastern Long Island worked as an assistant for Lichtenstein in his Southampton studio. Inspired by the environment of the studio, Lambrecht used her unfettered access to document the artist's intricate creative process for 3 years. The photographs create a visual diary composed of vivid and engaging views culled from hundreds of images taken during her tenure. The photographer was in the presence of the painter as he worked daily on two major series, Reflections, and The Interiors. 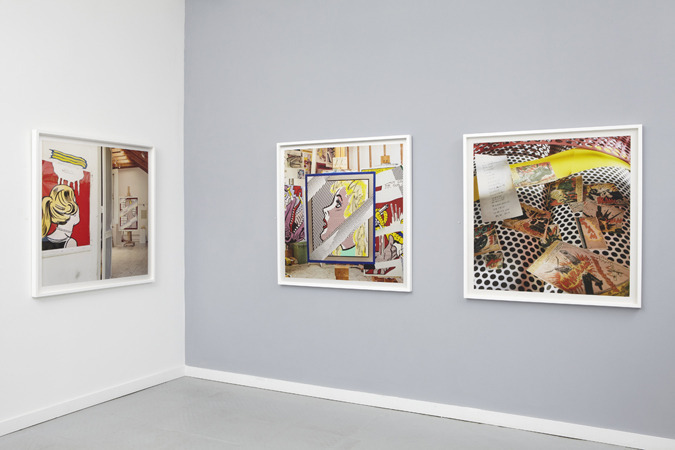 Lambrecht portrays him as completely absorbed, oblivious to the camera, composing, painting and stepping back to study the results, at times creating a trompe l'oeil effect. Her art is found in allowing him to do his, unaffected by her presence, as if invisible. During this period Lichtenstein and Lambrecht gathered material in preparation for the 1993 Guggenheim Museum exhibition Roy Lichtenstein: A Retrospective. As a result there are numerous rare glimpses into the artist's creative practice as seen through the scrapbooks and sketchbooks documenting Lichtenstein's entire career. The most recognizable sources of Lichtenstein's art, the Ben-Day dot stencils, clippings from newspapers and the comic books that forged the artist's public image contribute to the photographer's extended portrait of the artist. 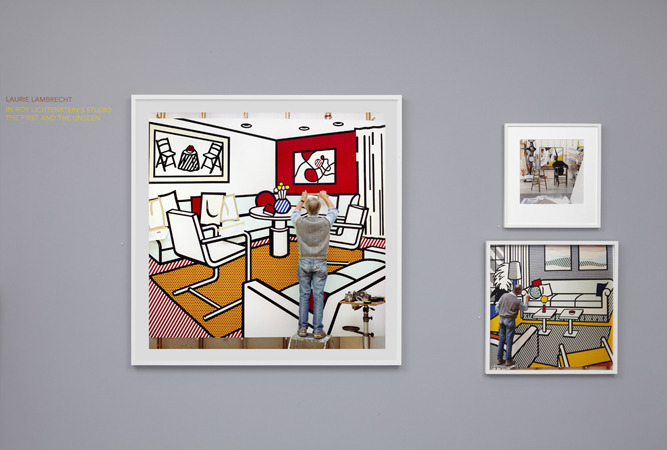 Inside Roy Lichtenstein's Studio (Monacelli, 2011) will be released October 18, 2011. RWFA will host a booksigning on Saturday, October 22, 2011, 2-4 pm. Laurie Lambrecht will lecture about her time at Roy Lichtenstein's Studio at the 92nd Street Y in Tribeca on Tuesday, November 1 at 12 pm. For more info and to buy tickets go to www.92y.org.